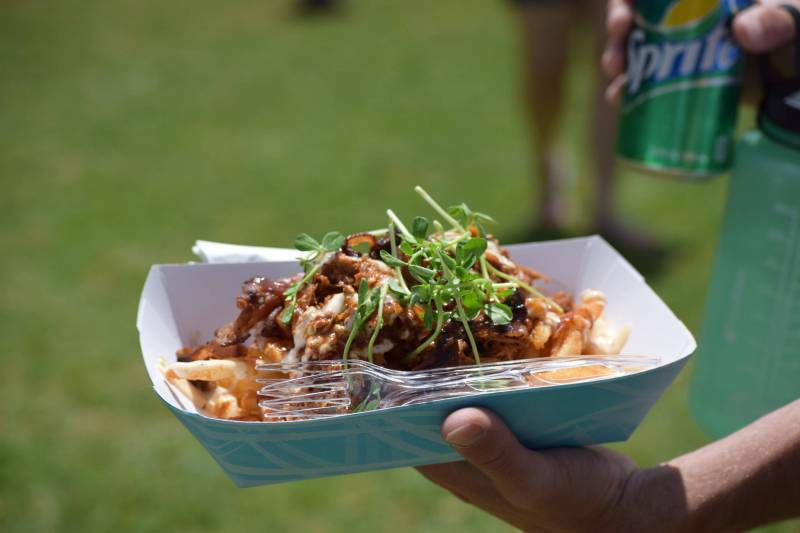 Description: Some of San Diego's favorite food trucks will be on hand serving a variety of mobile cuisine. Participating in this year’s festival are many crowd favorites including Organic Food Truck, Epic Eatz, Super Q Food Truck, Mariposa Ice Cream, Two for the Road, Pomodoro Rosso, SnoCal Shaved Ice and Lil Miss Shortcakes!! Also, come spend the night on the farm! Don't have plans before the show? This falls on the same date as our Food Truck Festival! Join us as 6 gourmet food trucks known in San Diego cook up some one of a kind meals. They will be out here cooking up from 4pm-8pm! We are having our Summer Camp Out! Bring a tent or RV & enjoy some dry camping under the stars. Reservations are $25.00 per spot. So come out and enjoy a whole day filled with new & fond memories! Spend an evening on the farm with family and friends at the annual Summer Food Truck Festival & Campout. San Diego's favorite food trucks will be here to serve you the best cuisine from 4-8 pm. Enjoy live music from Heidi & the Hurricanes, pony rides, and a showing of the movie, "A Dog's Purpose." Movie - "A Dog's Purpose" - $5.00 per person donation to the American Cancer Society. Movie begins at 7:45 pm. Submit an application to reserve your spot for camping! You may set up any time after 10 am on Saturday, and your area must be cleaned up by 12 pm the following day.